Last week, in addition to the Infinity Flex folding display, Samsung also introduced four new screen concepts to be used on future smartphones. 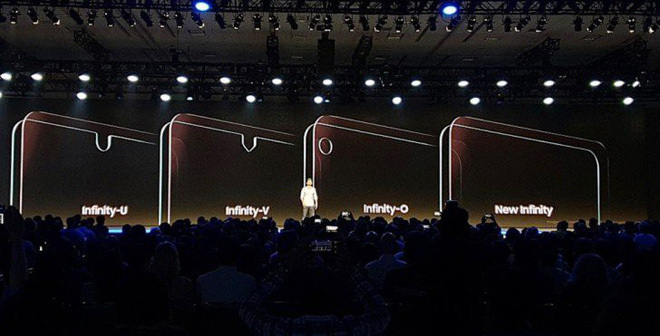 These are the Infinity-U, Infinity-V, Infinity-O and New Infinity displays. All four designs are aimed at eliminating rabbit ears, maximizing the screen's visibility, by integrating the selfie camera beneath the touch screen, leaving only a small hole in the screen. form. These screens are most likely to be used on the Galaxy S10. 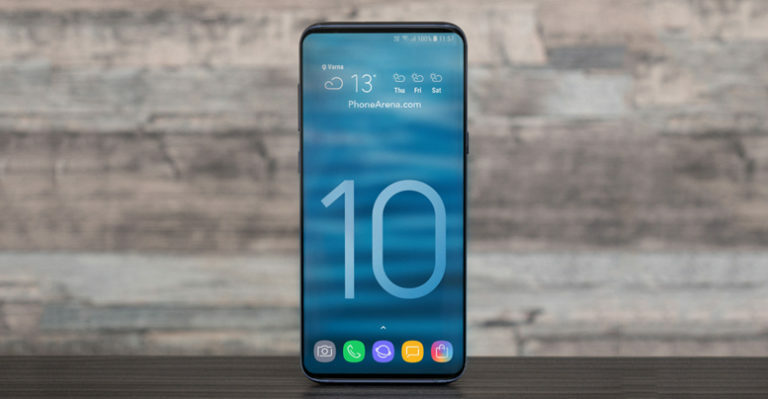 Recently, technology blogger Benjamin Geskin has revealed some information about the configuration and pricing of the Galaxy S10 Lite version, this is the cheap version of the Galaxy S10. Accordingly, Galaxy S10 Lite will use the Infinity-O screen. Galaxy S10 Lite will be launched along with the Galaxy S10 and S10 + at MWC 2019, which takes place in February next year. Galaxy S10 Lite will be a cheap version, with much lower configuration than the two brothers Galaxy S10 and S10 +. According to the source, Galaxy S10 Lite will be equipped with dual camera rear, vertical and offset to the left corner similar to the Galaxy A7 (2018). Samsung will not integrate fingerprint sensor under the screen, nor put in the back, which will place on the side of the Galaxy S10 Lite.